www.billnelson.com • View topic - Nelsonica 2012 Prize draw guitar- EXCLUSIVE pictures ! Post subject: Re: Nelsonica 2012 Prize draw guitar- EXCLUSIVE pictures ! 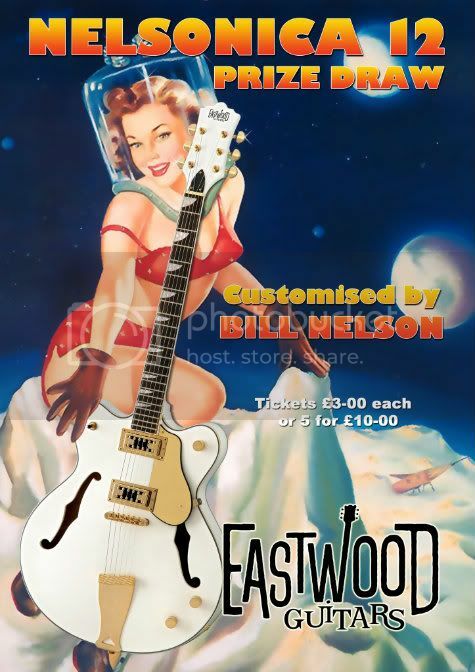 Eastwood have decided to keep hold of the Space Mariner guitar after Nelsonica to put on display in their UK office. This may well be auctioned off at a later date, no plans have been made yet, so enjoy having a good look at Nelsonica, and go see the lovely Radium Girl for tickets to try to win the Time Traveller. Best of luck y'all.